Have you ever watch cartoon The Simpsons? Humorous languages must have left a deep impression on you. This cartoon has gained reputations and has been regarded as one of the greatest cartoons. I deem that it must be one of the most important parts in your childhood memories. Here is a piece of good news for every Simpsons fans!!! In order to celebrate 25th anniversary of the cartoon comedy The Simpsons hit. The Simpsons launch 2014 spring and summer clothing series with fashion brand Joyrich. It is the second time for the classic combination of cartoon and clothing brand. The main character is the son, Bart Simpson. In this series, the image of Bart Simpson appear on the school team jackets, oversized T-shirts, bags and hats. This series have been available both in Joyrich stores and online. Is that not enough for your visual feast? 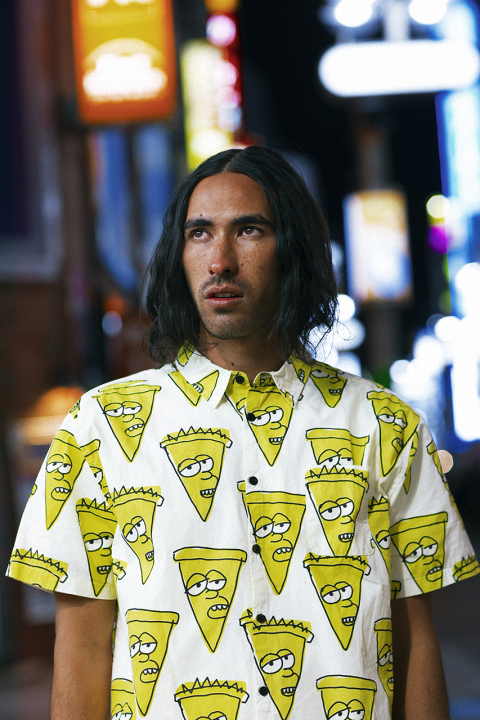 With the theme of cartoon, Lazy Oaf that founded by the British Artist team, is popular among young people depended on its funny and dynamic design. 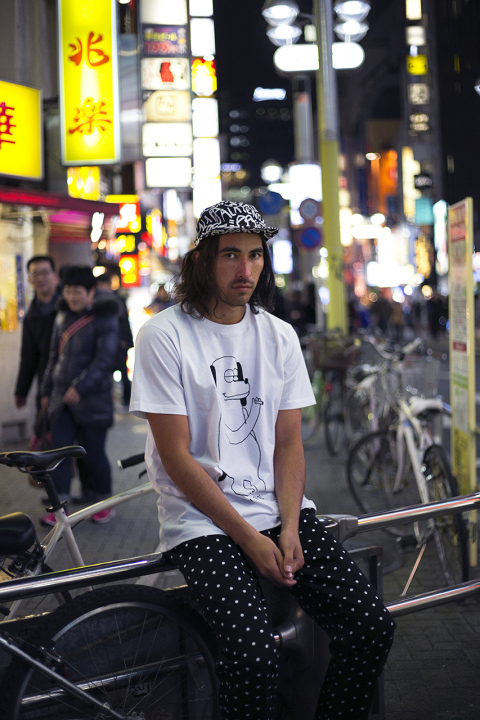 The brand launches men’s style catalogue in 2014 spring and summer with the theme of ‘Nothing Special’. Under the background of street night scenery, model wear Simpsons printed white T-shirts and printed pattern shirts give you a remarkable impression even he have no impression at all. ← Chic Comments丨Whether Floral Pattern is Fashion or Not?